So lets flash back to the night before. 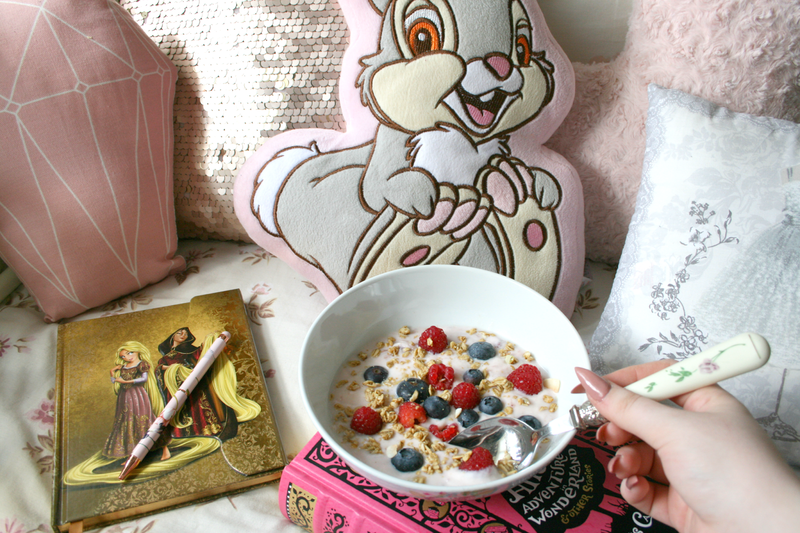 I go to bed at 8pm, I know I know, party hard! I set my alarms for 2:30am, 2:45am and 3am and off to sleep I went. My 3am alarm went off and so up I got, sat in my bed and done all of my base makeup, I then decided to go brush my teeth and found my brothers bedroom door wide open and him and Aurora just chilling on his sofa playing xBox. I was confused and asked what time it was in which he replied 10:30pm. TEN BLOODY THIRTY PM, I WAS ONLY IN BED TWO AND A HALF HOURS. So I rolled my eyes, contemplated removing my makeup or just sleeping in it but removed it and went back to bed. A few hours later my dad opened my bedroom door asking why I wasn't up because it was 3:45am and my bus was in 15 minutes. My phone alarms never went off and I had majorly slept in. So I threw my hair into a pony, threw on my uniform and put every makeup item and brush I own into a bag and ran down stairs to get into the car. So I had 10 minutes to put a whole face of makeup on in the car, it didn't look the best but I done it and got on the bus! Now it takes me about 40 minutes to get to work on the bus and after about 15 I decided to take my jacket off, I looked down and realised my id badge wasn't around my neck and in that moment I wanted to cry, because you can't get through security without it, like you can't do anything. So I rang work to talk to one of my friends and she confirmed that I would just have to wait to get off at the airport and jump on another bus home to get it and then come back. When I arrived at the airport at 4:45am I checked to see what time the first bus home was and it was 7:20am please ground just open and swallow me up right now! I ended up sitting in Mc Donalds for 2 hours until the bus arrived, jumped on the bus, got home for 8:10am, grabbed my badge, truth be told I had a little cry too out of annoyance and jumped back on the 9am bus and arrived back at work at 10am. It was a disaster and a stressful day and I never want it to happen again. Onto Saturday which started off good but ended with Disaster #2! 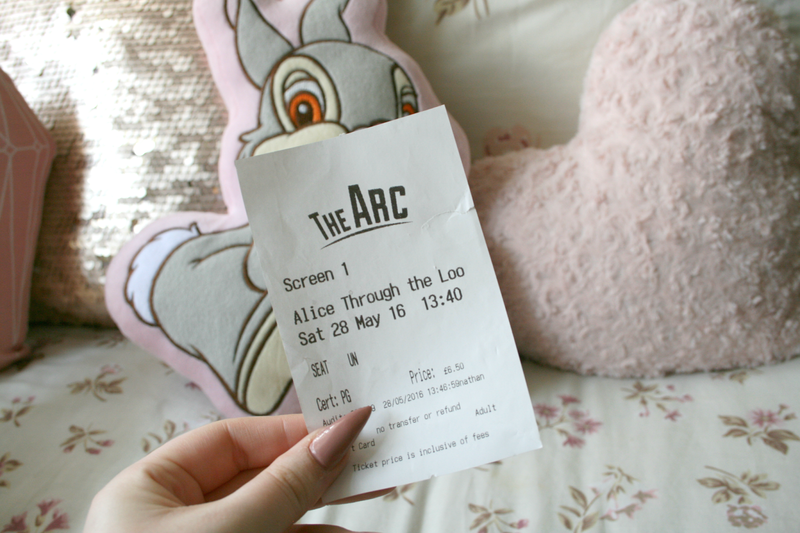 Alice in Wonderland is one of my favourite films so on Saturday I went to the cinema to see Alice Through The Looking Glass and really enjoyed it! Out of both I will say the first one is still my favourite though just because of the story line but number two was still good. Because of the occasion I wore my Urban Decay x Alice Through The Looking Glass palette and dear jesus I'm so in love with the orange and pink shades they've included! I also decided to use some of Primark's individual lashes and dear god now I remember why I was so in love with these things. They just give you such a fluttery look and I love it. When I arrived at the cinema and was walking towards the queue a woman stopped me to ask what movie I was going to see and when I told her she handed me a ticket for it, she was after buying one too many and didn't want to see it go to waste, so shout out to that woman because it was such a lovely little gesture and really made me smile! So after that happening I thought jeesh, I'm having a good day, right!? After the cinema I decided to go and get some false nails because I've been dying to get them and dear god I am so in love with them and I'm never going to be without them ever again! After my nails were done I was bringing my family out for dinner and so I had to ring my dad to let him know where to meet us. 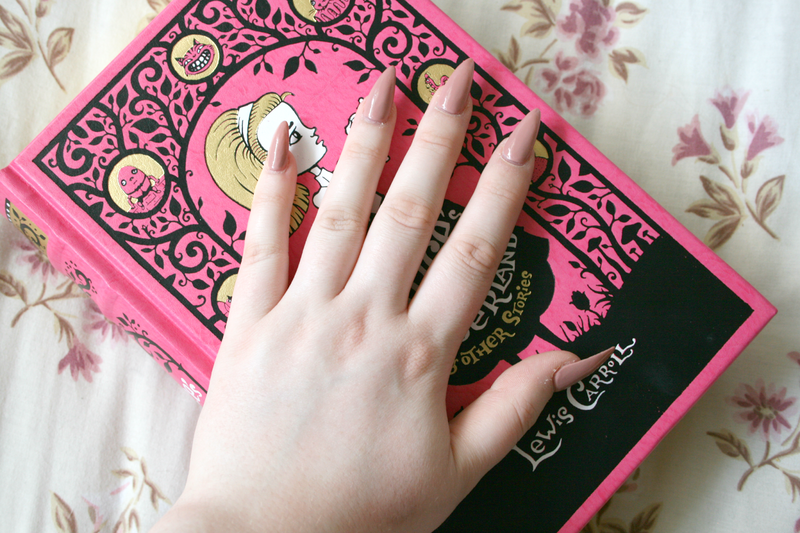 Bare in mind, my nails have never been this long or pointy so I'm trying to get used to the feel of them and how to work my hands with them. Anyways that out of the way I took out my iPhone and started to go through my contacts looking for my Dads number, I'm being extra careful with my nails because I don't want them to smudge...and then something I never seen happening happened. I didn't know how to react until my mam picked it up and her face dropped and then she showed me my phone with a smashed screen. 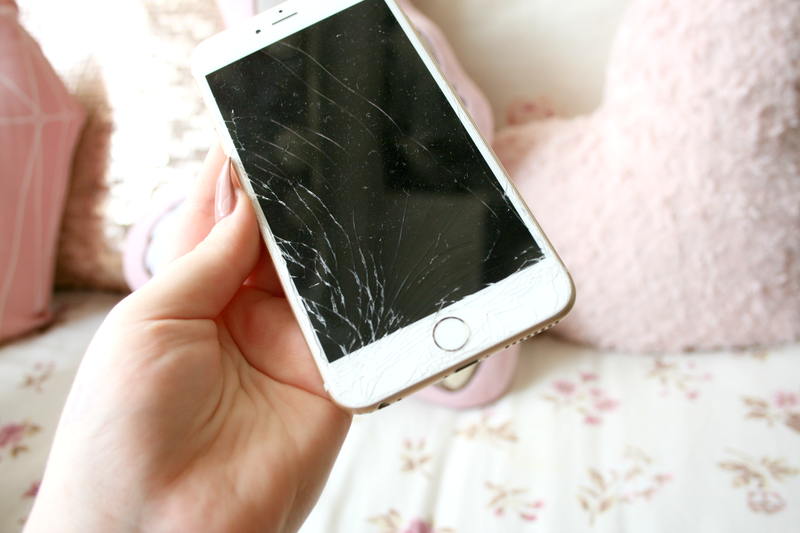 I've been using iPhones since I was 13 and in all those years (I'm now 22 in August) I have never smashed a screen on my phone so for it to happen to this phone which I'm still paying a bill for until November I really didn't know how to feel or what to do. I think I was so much in shock that I didn't really do much, what could I do at this stage anyways. I went out for dinner after and it was really nice! So yeah that was my bad luck last week and I'm hoping this week will treat me much nicer. I have a delivery from Disney arriving this week so I'm excited about that for sure. I have to send my phone away this week so I'm going to be without it for at least two weeks and I'm just not sure what to do. Anything happen you last week, or am I on my own here? !